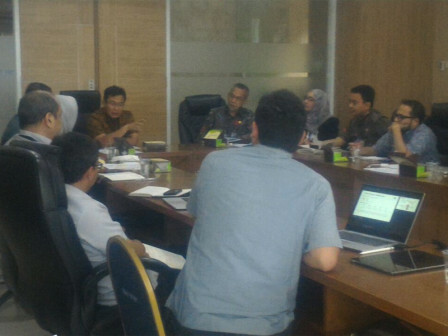 Jakarta Assistant in Development and Environment (Asbang and LH) together with MRT reviews about Dukuh Atas Transit Oriented Development (TOD) design guidelines, Thursday (9/6).
" We need to be fair in providing space for middle and lower economy societies regarding Dukuh Atas TOD planning development"
Jakarta Asbang LH, Yusmaida Faizal said, main thing reviewed in this meeting is about TOD building structure from Grand Hyatt to Dukuh Atas which is planned to be built across Tanah Abang-Melati Reservoir. Besides, it also reviews about residential development for middle to lower economy society. "According to governor's request, we need to be fair in providing space for middle and lower economy societies regarding Dukuh Atas TOD planning development," he conveyed. He explained, TOD requires a large areas, including to build sidewalk for pedestrian. "In order to build residential along the area, it requires an affordable portion for lower and middle economy societies," he added.